NEW YORK ( TheStreet) -- Are "sustainable" companies good investments? Twenty U.S.-based companies made the Global 100 Most Sustainable Corporations in the World index, an annual list released in January by Corporate Knights Capital, the investment arm of Corporate Knights, a Toronto-based media and investment advisory company. It was America's best representation of corporate sustainability in the 11-year history of the index. And, believe it or not, even though Apple (AAPL has been placing huge emphasis on sustainability, it didn't make the list. However, for the first time, the index itself underperformed its benchmark, the MSCI All Country World Index, due to a rising dollar and the vast majority of companies in the index trading in other currencies. From inception to December 31, 2014, the index delivered a total return of 90.76%, compared to 96.98% for the MSCI All Country World Index. With the exception of two U.S. companies (one is rated at "hold," and one company got acquired), U.S.-based corporate sustainability leaders are also good investments, according to TheStreet Ratings, TheStreet's proprietary ratings tool. TheStreet paired the top 15 U.S.-based companies in the index with ratings from TheStreet Ratings. The Global 100 index filters publicly traded companies with at least $2 billion in market cap as of Oct. 1 of the previous year. Companies are then scored based on 12 performance indicators that span from energy and water use, to employee compensation and corporate tax strategy, the company said. Top performers from each S&P Global Industry Classification Standard (GICS) sectors are then name to the index, subject to the number of slots reserved for each GICS sector. Buying an S&P 500 stock that TheStreet Ratings rated a "buy" yielded a 16.56% return in 2014 beating the S&P 500 Total Return Index by 304 basis points. Buying a Russell 2000 stock that TheStreet Ratings rated a "buy" yielded a 9.5% return in 2014, beating the Russell 2000 index, including dividends reinvested, by 460 basis points last year. Year-to-date returns are based on April 21, 2015 closing prices. Check out which companies made the list. And when you're done, see which green companies are also good investments. Campbell Soup Company, together with its subsidiaries, manufactures and markets convenience food products. It operates through U.S. Simple Meals; Global Baking and Snacking; International Simple Meals and Beverages; U.S. Beverages; and Bolthouse and Foodservice segments. TheStreet Ratings said: "We rate CAMPBELL SOUP CO (CPB) a BUY. This is driven by multiple strengths, which we believe should have a greater impact than any weaknesses, and should give investors a better performance opportunity than most stocks we cover. The company's strengths can be seen in multiple areas, such as its notable return on equity, good cash flow from operations, expanding profit margins and increase in stock price during the past year. We feel these strengths outweigh the fact that the company has had sub par growth in net income." The return on equity has improved slightly when compared to the same quarter one year prior. This can be construed as a modest strength in the organization. Compared to other companies in the Food Products industry and the overall market, CAMPBELL SOUP CO's return on equity significantly exceeds that of both the industry average and the S&P 500. Net operating cash flow has increased to $396.00 million or 21.84% when compared to the same quarter last year. In addition, CAMPBELL SOUP CO has also vastly surpassed the industry average cash flow growth rate of -34.71%. CAMPBELL SOUP CO's earnings per share declined by 10.8% in the most recent quarter compared to the same quarter a year ago. This company has reported somewhat volatile earnings recently. But, we feel it is poised for EPS growth in the coming year. During the past fiscal year, CAMPBELL SOUP CO increased its bottom line by earning $2.32 versus $2.16 in the prior year. This year, the market expects an improvement in earnings ($2.35 versus $2.32). Regardless of the drop in revenue, the company managed to outperform against the industry average of 9.7%. Since the same quarter one year prior, revenues slightly dropped by 2.1%. The declining revenue appears to have seeped down to the company's bottom line, decreasing earnings per share. 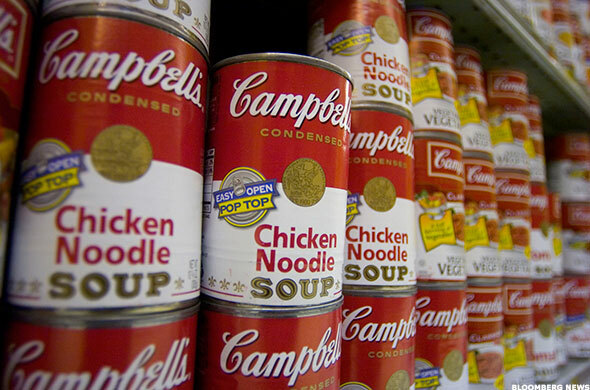 35.90% is the gross profit margin for CAMPBELL SOUP CO which we consider to be strong. Regardless of CPB's high profit margin, it has managed to decrease from the same period last year. Despite the mixed results of the gross profit margin, CPB's net profit margin of 9.26% compares favorably to the industry average. 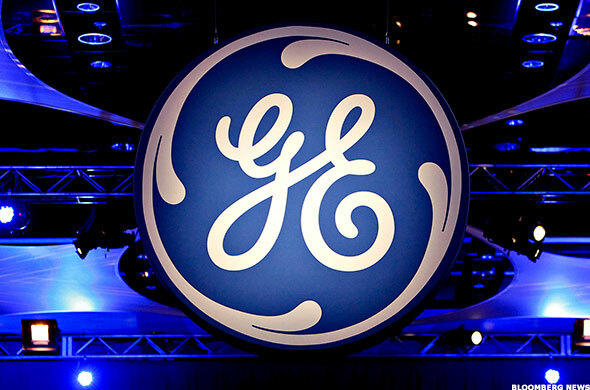 TheStreet Ratings said: "We rate GENERAL ELECTRIC CO (GE) a HOLD. The primary factors that have impacted our rating are mixed - some indicating strength, some showing weaknesses, with little evidence to justify the expectation of either a positive or negative performance for this stock relative to most other stocks. Among the primary strengths of the company is its expanding profit margins over time. At the same time, however, we also find weaknesses including deteriorating net income, generally higher debt management risk and disappointing return on equity." 35.71% is the gross profit margin for GENERAL ELECTRIC CO which we consider to be strong. Regardless of GE's high profit margin, it has managed to decrease from the same period last year. GENERAL ELECTRIC CO has experienced a steep decline in earnings per share in the most recent quarter in comparison to its performance from the same quarter a year ago. Stable earnings per share over the past year indicate the company has sound management over its earnings and share float. However, the consensus estimates suggest that there will be an upward trend in the coming year. During the past fiscal year, GENERAL ELECTRIC CO increased its bottom line by earning $1.48 versus $1.47 in the prior year. This year, the market expects an improvement in earnings ($1.72 versus $1.48). GE, with its decline in revenue, slightly underperformed the industry average of 12.3%. Since the same quarter one year prior, revenues fell by 12.4%. Weakness in the company's revenue seems to have hurt the bottom line, decreasing earnings per share. Current return on equity is lower than its ROE from the same quarter one year prior. This is a clear sign of weakness within the company. Compared to other companies in the Industrial Conglomerates industry and the overall market, GENERAL ELECTRIC CO's return on equity significantly trails that of both the industry average and the S&P 500. The company, on the basis of change in net income from the same quarter one year ago, has significantly underperformed when compared to that of the S&P 500 and the Industrial Conglomerates industry. The net income has significantly decreased by 552.6% when compared to the same quarter one year ago, falling from $2,999.00 million to -$13,573.00 million. Colgate-Palmolive Company, together with its subsidiaries, manufactures and markets consumer products worldwide. It operates in two segments: Oral, Personal and Home Care; and Pet Nutrition. 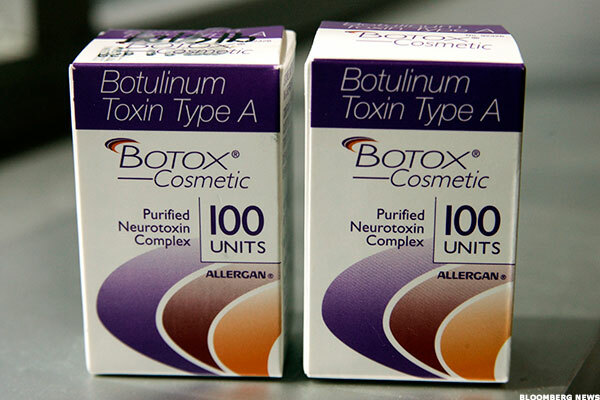 TheStreet Ratings said: "We rate COLGATE-PALMOLIVE CO (CL) a BUY. This is driven by multiple strengths, which we believe should have a greater impact than any weaknesses, and should give investors a better performance opportunity than most stocks we cover. The company's strengths can be seen in multiple areas, such as its increase in net income, notable return on equity, good cash flow from operations, growth in earnings per share and expanding profit margins. We feel these strengths outweigh the fact that the company has had generally high debt management risk by most measures that we evaluated." The net income growth from the same quarter one year ago has significantly exceeded that of the S&P 500 and the Household Products industry. The net income increased by 11.3% when compared to the same quarter one year prior, going from $564.00 million to $628.00 million. The company's current return on equity greatly increased when compared to its ROE from the same quarter one year prior. This is a signal of significant strength within the corporation. Compared to other companies in the Household Products industry and the overall market, COLGATE-PALMOLIVE CO's return on equity significantly exceeds that of both the industry average and the S&P 500. Net operating cash flow has slightly increased to $906.00 million or 7.98% when compared to the same quarter last year. In addition, COLGATE-PALMOLIVE CO has also modestly surpassed the industry average cash flow growth rate of 1.42%. COLGATE-PALMOLIVE CO has improved earnings per share by 13.3% in the most recent quarter compared to the same quarter a year ago. This company has reported somewhat volatile earnings recently. But, we feel it is poised for EPS growth in the coming year. 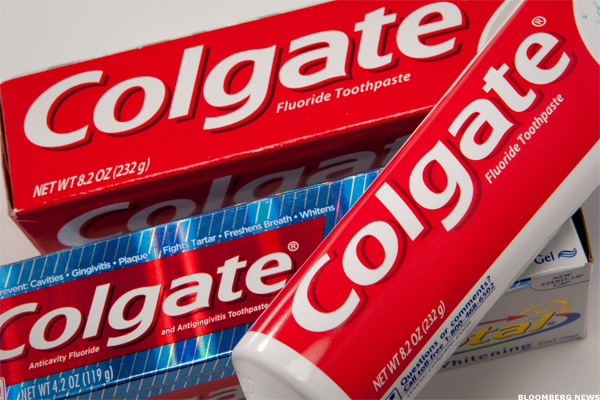 During the past fiscal year, COLGATE-PALMOLIVE CO reported lower earnings of $2.36 versus $2.39 in the prior year. This year, the market expects an improvement in earnings ($2.96 versus $2.36). Regardless of the drop in revenue, the company managed to outperform against the industry average of 4.9%. Since the same quarter one year prior, revenues slightly dropped by 3.2%. The declining revenue has not hurt the company's bottom line, with increasing earnings per share. Johnson Controls, Inc. operates as a diversified technology and industrial company worldwide. 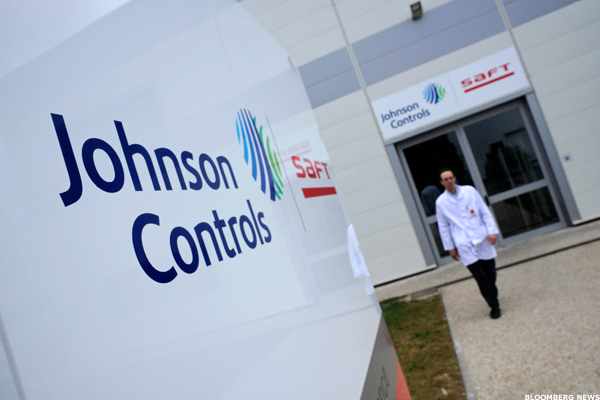 TheStreet Ratings said: "We rate JOHNSON CONTROLS INC (JCI) a BUY. This is based on the convergence of positive investment measures, which should help this stock outperform the majority of stocks that we rate. The company's strengths can be seen in multiple areas, such as its revenue growth, impressive record of earnings per share growth, increase in net income, good cash flow from operations and increase in stock price during the past year. We feel these strengths outweigh the fact that the company has had generally high debt management risk by most measures that we evaluated." JCI's revenue growth has slightly outpaced the industry average of 0.9%. Since the same quarter one year prior, revenues slightly increased by 0.9%. This growth in revenue appears to have trickled down to the company's bottom line, improving the earnings per share. JOHNSON CONTROLS INC has improved earnings per share by 15.2% in the most recent quarter compared to the same quarter a year ago. The company has demonstrated a pattern of positive earnings per share growth over the past two years. We feel that this trend should continue. During the past fiscal year, JOHNSON CONTROLS INC increased its bottom line by earning $2.11 versus $1.57 in the prior year. This year, the market expects an improvement in earnings ($3.59 versus $2.11). The net income growth from the same quarter one year ago has significantly exceeded that of the S&P 500 and the Auto Components industry. The net income increased by 8.1% when compared to the same quarter one year prior, going from $469.00 million to $507.00 million. Net operating cash flow has increased to -$159.00 million or 43.61% when compared to the same quarter last year. The firm also exceeded the industry average cash flow growth rate of 12.37%. 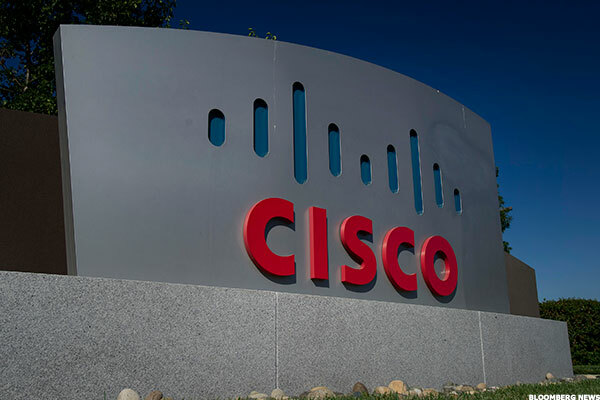 TheStreet Ratings said: "We rate CISCO SYSTEMS INC (CSCO) a BUY. This is based on the convergence of positive investment measures, which should help this stock outperform the majority of stocks that we rate. The company's strengths can be seen in multiple areas, such as its revenue growth, solid stock price performance, notable return on equity, attractive valuation levels and increase in net income. Although no company is perfect, currently we do not see any significant weaknesses which are likely to detract from the generally positive outlook." CSCO's revenue growth has slightly outpaced the industry average of 0.0%. Since the same quarter one year prior, revenues slightly increased by 7.0%. Growth in the company's revenue appears to have helped boost the earnings per share. The return on equity has improved slightly when compared to the same quarter one year prior. This can be construed as a modest strength in the organization. Compared to other companies in the Communications Equipment industry and the overall market, CISCO SYSTEMS INC's return on equity exceeds that of both the industry average and the S&P 500. The net income growth from the same quarter one year ago has significantly exceeded that of the S&P 500 and the Communications Equipment industry. The net income increased by 67.5% when compared to the same quarter one year prior, rising from $1,426.00 million to $2,389.00 million. Adobe Systems Incorporated operates as a diversified software company worldwide. It operates in three segments: Digital Media, Digital Marketing, and Print and Publishing. TheStreet Ratings said: "We rate ADOBE SYSTEMS INC (ADBE) a BUY. This is driven by a few notable strengths, which we believe should have a greater impact than any weaknesses, and should give investors a better performance opportunity than most stocks we cover. The company's strengths can be seen in multiple areas, such as its revenue growth, largely solid financial position with reasonable debt levels by most measures, increase in net income, solid stock price performance and growth in earnings per share. We feel these strengths outweigh the fact that the company shows weak operating cash flow." ADBE's revenue growth has slightly outpaced the industry average of 9.9%. Since the same quarter one year prior, revenues rose by 10.9%. This growth in revenue appears to have trickled down to the company's bottom line, improving the earnings per share. ADBE's debt-to-equity ratio is very low at 0.29 and is currently below that of the industry average, implying that there has been very successful management of debt levels. To add to this, ADBE has a quick ratio of 2.07, which demonstrates the ability of the company to cover short-term liquidity needs. The net income growth from the same quarter one year ago has significantly exceeded that of the S&P 500 and the Software industry. The net income increased by 80.4% when compared to the same quarter one year prior, rising from $47.05 million to $84.89 million. ADOBE SYSTEMS INC reported significant earnings per share improvement in the most recent quarter compared to the same quarter a year ago. This company has reported somewhat volatile earnings recently. But, we feel it is poised for EPS growth in the coming year. 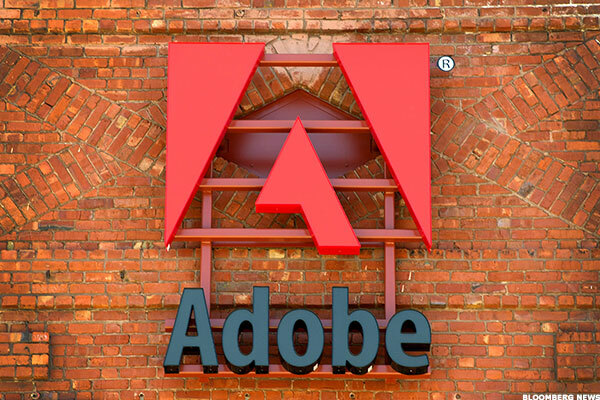 During the past fiscal year, ADOBE SYSTEMS INC reported lower earnings of $0.52 versus $0.57 in the prior year. This year, the market expects an improvement in earnings ($2.09 versus $0.52). 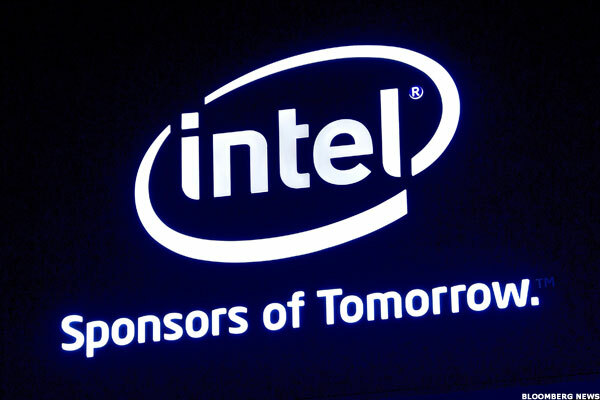 TheStreet Ratings said: "We rate INTEL CORP (INTC) a BUY. This is driven by multiple strengths, which we believe should have a greater impact than any weaknesses, and should give investors a better performance opportunity than most stocks we cover. The company's strengths can be seen in multiple areas, such as its revenue growth, largely solid financial position with reasonable debt levels by most measures, notable return on equity, reasonable valuation levels and solid stock price performance. Although the company may harbor some minor weaknesses, we feel they are unlikely to have a significant impact on results." Despite its growing revenue, the company underperformed as compared with the industry average of 1.2%. Since the same quarter one year prior, revenues slightly increased by 0.1%. This growth in revenue appears to have trickled down to the company's bottom line, improving the earnings per share. INTC's debt-to-equity ratio is very low at 0.24 and is currently below that of the industry average, implying that there has been very successful management of debt levels. Along with the favorable debt-to-equity ratio, the company maintains an adequate quick ratio of 1.15, which illustrates the ability to avoid short-term cash problems. The return on equity has improved slightly when compared to the same quarter one year prior. This can be construed as a modest strength in the organization. Compared to other companies in the Semiconductors & Semiconductor Equipment industry and the overall market, INTEL CORP's return on equity exceeds that of both the industry average and the S&P 500. Agilent Technologies, Inc. provides bio-analytical solutions and services to the life sciences, diagnostics and genomics, chemical analysis, communications, and electronics industries worldwide. TheStreet Ratings said: "We rate AGILENT TECHNOLOGIES INC (A) a BUY. This is driven by a number of strengths, which we believe should have a greater impact than any weaknesses, and should give investors a better performance opportunity than most stocks we cover. The company's strengths can be seen in multiple areas, such as its revenue growth, largely solid financial position with reasonable debt levels by most measures, reasonable valuation levels, increase in stock price during the past year and expanding profit margins. We feel these strengths outweigh the fact that the company has had sub par growth in net income." A's revenue growth trails the industry average of 16.7%. Since the same quarter one year prior, revenues slightly increased by 1.8%. This growth in revenue does not appear to have trickled down to the company's bottom line, displayed by a decline in earnings per share. The current debt-to-equity ratio, 0.39, is low and is below the industry average, implying that there has been successful management of debt levels. Along with this, the company maintains a quick ratio of 2.95, which clearly demonstrates the ability to cover short-term cash needs. The gross profit margin for AGILENT TECHNOLOGIES INC is rather high; currently it is at 56.82%. Regardless of A's high profit margin, it has managed to decrease from the same period last year. Despite the mixed results of the gross profit margin, the net profit margin of 7.01% trails the industry average. General Mills, Inc. manufactures and markets branded consumer foods in the United States and internationally. It also supplies branded and unbranded food products to the foodservice and commercial baking industries. TheStreet Ratings said: "We rate GENERAL MILLS INC (GIS) a BUY. This is based on the convergence of positive investment measures, which should help this stock outperform the majority of stocks that we rate. The company's strengths can be seen in multiple areas, such as its expanding profit margins, reasonable valuation levels, increase in stock price during the past year and notable return on equity. We feel these strengths outweigh the fact that the company has had generally high debt management risk by most measures that we evaluated." Regardless of the drop in revenue, the company managed to outperform against the industry average of 9.7%. Since the same quarter one year prior, revenues slightly dropped by 0.6%. The declining revenue appears to have seeped down to the company's bottom line, decreasing earnings per share. 35.71% is the gross profit margin for GENERAL MILLS INC which we consider to be strong. Regardless of GIS's high profit margin, it has managed to decrease from the same period last year. Despite the mixed results of the gross profit margin, GIS's net profit margin of 7.88% compares favorably to the industry average. The company's current return on equity has slightly decreased from the same quarter one year prior. This implies a minor weakness in the organization. 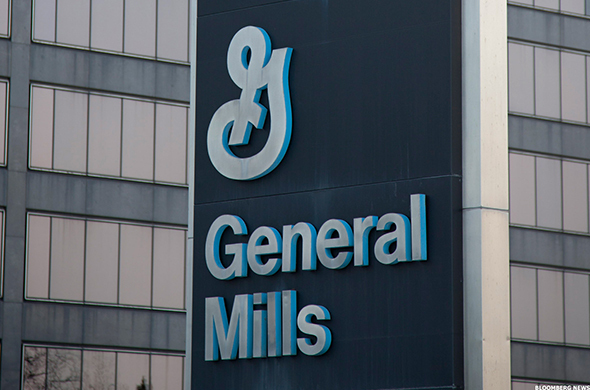 When compared to other companies in the Food Products industry and the overall market, GENERAL MILLS INC's return on equity exceeds that of the industry average and significantly exceeds that of the S&P 500. Compared to where it was 12 months ago, the stock is up, but it has so far lagged the appreciation in the S&P 500. The stock's price rise over the last year has driven it to a level which is somewhat expensive compared to the rest of its industry. We feel, however, that other strengths this company displays justify these higher price levels. Ecolab Inc. provides water, hygiene, and energy technologies and services for customers worldwide. The company operates in four segments: Global Industrial, Global Institutional, Global Energy, and Other. 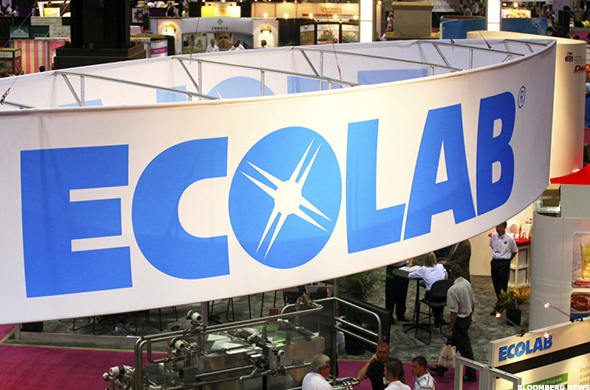 TheStreet Ratings said: "We rate ECOLAB INC (ECL) a BUY. This is based on the convergence of positive investment measures, which should help this stock outperform the majority of stocks that we rate. The company's strengths can be seen in multiple areas, such as its revenue growth, increase in stock price during the past year, impressive record of earnings per share growth, compelling growth in net income and good cash flow from operations. We feel these strengths outweigh the fact that the company has had generally high debt management risk by most measures that we evaluated." ECL's revenue growth has slightly outpaced the industry average of 6.3%. Since the same quarter one year prior, revenues slightly increased by 3.4%. Growth in the company's revenue appears to have helped boost the earnings per share. ECOLAB INC has improved earnings per share by 18.3% in the most recent quarter compared to the same quarter a year ago. The company has demonstrated a pattern of positive earnings per share growth over the past two years. We feel that this trend should continue. During the past fiscal year, ECOLAB INC increased its bottom line by earning $3.93 versus $3.15 in the prior year. This year, the market expects an improvement in earnings ($4.60 versus $3.93). The net income growth from the same quarter one year ago has significantly exceeded that of the S&P 500 and the Chemicals industry. The net income increased by 16.9% when compared to the same quarter one year prior, going from $287.10 million to $335.50 million. Net operating cash flow has slightly increased to $670.60 million or 6.34% when compared to the same quarter last year. In addition, ECOLAB INC has also modestly surpassed the industry average cash flow growth rate of 1.05%. 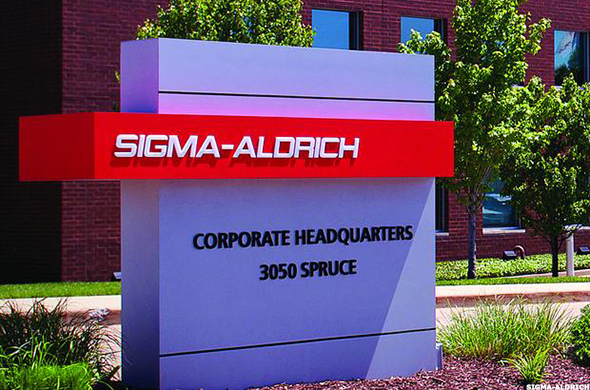 Sigma-Aldrich Corporation, a life science and high technology company, develops, manufactures, purchases, and distributes various chemicals, biochemicals, and equipment products worldwide. TheStreet Ratings said: "We rate SIGMA-ALDRICH CORP (SIAL) a BUY. This is based on the convergence of positive investment measures, which should help this stock outperform the majority of stocks that we rate. The company's strengths can be seen in multiple areas, such as its revenue growth, largely solid financial position with reasonable debt levels by most measures, expanding profit margins, increase in net income and growth in earnings per share. We feel these strengths outweigh the fact that the company is trading at a premium valuation based on our review of its current price compared to such things as earnings and book value." 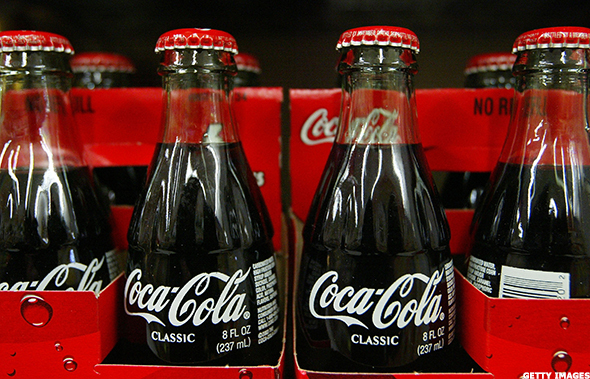 TheStreet Ratings said: "We rate COCA-COLA CO (KO) a BUY. This is driven by some important positives, which we believe should have a greater impact than any weaknesses, and should give investors a better performance opportunity than most stocks we cover. The company's strengths can be seen in multiple areas, such as its expanding profit margins, reasonable valuation levels and notable return on equity. We feel these strengths outweigh the fact that the company has had sub par growth in net income." Regardless of the drop in revenue, the company managed to outperform against the industry average of 4.0%. Since the same quarter one year prior, revenues slightly dropped by 1.5%. Weakness in the company's revenue seems to have hurt the bottom line, decreasing earnings per share. The gross profit margin for COCA-COLA CO is rather high; currently it is at 64.51%. Regardless of KO's high profit margin, it has managed to decrease from the same period last year. Despite the mixed results of the gross profit margin, the net profit margin of 7.08% trails the industry average. COCA-COLA CO has experienced a steep decline in earnings per share in the most recent quarter in comparison to its performance from the same quarter a year ago. The company has suffered a declining pattern of earnings per share over the past two years. However, we anticipate this trend to reverse over the coming year. During the past fiscal year, COCA-COLA CO reported lower earnings of $1.59 versus $1.90 in the prior year. This year, the market expects an improvement in earnings ($1.97 versus $1.59). The company's current return on equity has slightly decreased from the same quarter one year prior. This implies a minor weakness in the organization. Compared to other companies in the Beverages industry and the overall market, COCA-COLA CO's return on equity exceeds that of both the industry average and the S&P 500. Johnson & Johnson, together with its subsidiaries, researches and develops, manufactures, and sells various products in the health care field worldwide. It operates in three segments: Consumer, Pharmaceutical, and Medical Devices. 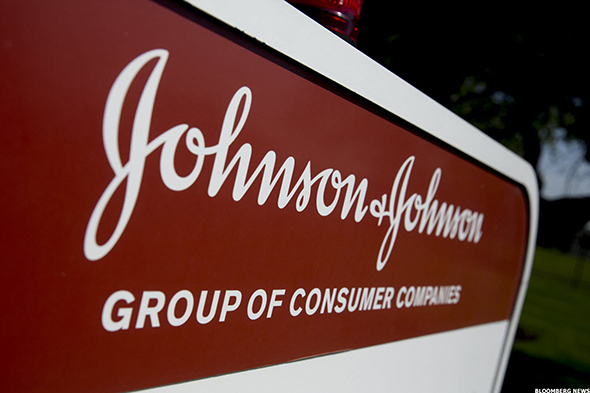 TheStreet Ratings said: "We rate JOHNSON & JOHNSON (JNJ) a BUY. This is based on the convergence of positive investment measures, which should help this stock outperform the majority of stocks that we rate. The company's strengths can be seen in multiple areas, such as its expanding profit margins and increase in stock price during the past year. Although no company is perfect, currently we do not see any significant weaknesses which are likely to detract from the generally positive outlook." The gross profit margin for JOHNSON & JOHNSON is rather high; currently it is at 69.60%. Regardless of JNJ's high profit margin, it has managed to decrease from the same period last year. Despite the mixed results of the gross profit margin, JNJ's net profit margin of 24.86% significantly outperformed against the industry. JOHNSON & JOHNSON's earnings per share declined by 6.7% in the most recent quarter compared to the same quarter a year ago. This company has reported somewhat volatile earnings recently. But, we feel it is poised for EPS growth in the coming year. During the past fiscal year, JOHNSON & JOHNSON increased its bottom line by earning $5.70 versus $4.82 in the prior year. This year, the market expects an improvement in earnings ($6.14 versus $5.70). Regardless of the drop in revenue, the company managed to outperform against the industry average of 10.8%. Since the same quarter one year prior, revenues slightly dropped by 4.1%. Weakness in the company's revenue seems to have hurt the bottom line, decreasing earnings per share. In its most recent trading session, JNJ has closed at a price level that was not very different from its closing price of one year earlier. This is probably due to its weak earnings growth as well as other mixed factors. Turning our attention to the future direction of the stock, it goes without saying that even the best stocks can fall in an overall down market. However, in any other environment, this stock still has good upside potential despite the fact that it has already risen in the past year. The change in net income from the same quarter one year ago has exceeded that of the S&P 500 and greatly outperformed compared to the Pharmaceuticals industry average. The net income has decreased by 8.6% when compared to the same quarter one year ago, dropping from $4,727.00 million to $4,320.00 million. Biogen Inc. discovers, develops, manufactures, and markets therapies for the treatment of neurological, autoimmune, and hematologic disorders in the United States and internationally. 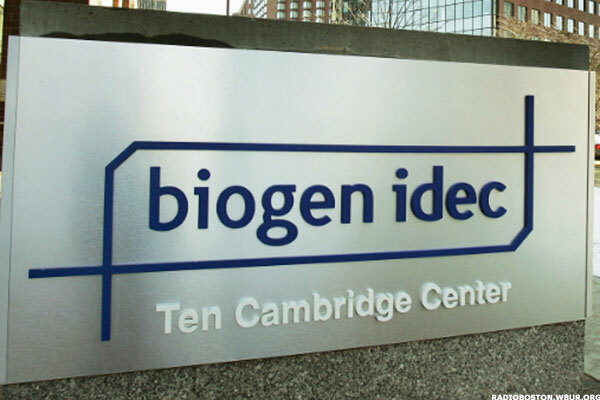 TheStreet Ratings said: "We rate BIOGEN INC (BIIB) a BUY. This is based on the convergence of positive investment measures, which should help this stock outperform the majority of stocks that we rate. The company's strengths can be seen in multiple areas, such as its robust revenue growth, largely solid financial position with reasonable debt levels by most measures, notable return on equity, reasonable valuation levels and expanding profit margins. Although no company is perfect, currently we do not see any significant weaknesses which are likely to detract from the generally positive outlook." Despite its growing revenue, the company underperformed as compared with the industry average of 35.1%. Since the same quarter one year prior, revenues rose by 34.3%. Growth in the company's revenue appears to have helped boost the earnings per share. BIIB's debt-to-equity ratio is very low at 0.05 and is currently below that of the industry average, implying that there has been very successful management of debt levels. To add to this, BIIB has a quick ratio of 1.54, which demonstrates the ability of the company to cover short-term liquidity needs. Current return on equity exceeded its ROE from the same quarter one year prior. This is a clear sign of strength within the company. When compared to other companies in the Biotechnology industry and the overall market, BIOGEN INC's return on equity exceeds that of the industry average and significantly exceeds that of the S&P 500. The gross profit margin for BIOGEN INC is currently very high, coming in at 90.65%. It has increased from the same quarter the previous year. Along with this, the net profit margin of 33.45% is above that of the industry average.